The high-voltage Sabarimala temple case hearing in the Supreme Court took a new twist with students who are part of ‘Happy To Bleed’ campaign filing an intervention application through noted lawyer Indira Jaising and asking how women can be discriminated against and barred from entering the shrine on the ground of “healthy and biological” process of menstruation. “The petition been filed by the Petitioner Organisation under Article 32 of the Constitution of India, challenging Rule 3 (b) of the Kerala Hindu Places of Public Worship (Authorisation of Entry) Rules, 1965 prohibiting girls and women between 10-50 years of age from entering the Lord Ayyappa Temple in Sabrimala, Kerala, on grounds of such Impugned Rule being violative of; Articles 14, 15, 25 and 51A(e) of the Constitution of India, and Section 3 of the Kerala Hindu Places of Public Worship (Authorisation of Entry) Act, 1965 that prohibits discrimination”, it said. 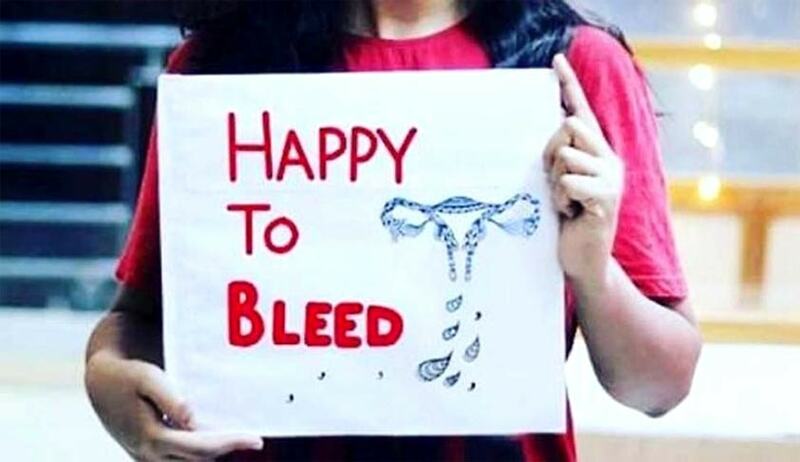 ‘Happy To Bleed’ is a counter campaign launched against menstrual taboos, and sexism that women are subject to through it. It acknowledges menstruation as a natural activity which doesn't need curtains to hide behind. The students asked the apex court whether modern society should continue to bear with “menstrual discrimination” when the Indian Constitution mandates right to equality and health of women to achieve gender justice. It is to be noted that during a hearing on Friday, Justice Dipak Misra had asked whether the Vedas, Upanishads and scriptures discriminate between men and women. “Is spirituality solely within the domain of men? Are you saying that women are incapable of attaining spirituality within the domain of religion? Can you deprive a mother?” Justice Misra had asked. “The primary objective of this campaign is two pronged; one, demanding the State to fulfill its duty of ensuring that health requirements of women are met by means of provision of sanitary pads at subsidized rates and free of charge to economically weaker sectors and, two, fighting against menstrual discriminatory practices, specifically the practice of the Sabarimala temple, Kerala of denying entry to women and girls between 10-50 years into the temple which leads to stigma and shame based on gender, and violation of rights of women under Articles 14 and 15 of the Constitution, not protected by Articles 25 or 26 of the Constitution”, the intervention application said.